CBS CEO Les Moonves has been accused by multiple women of sexual harassment followed by retaliation. CBS needs to fire him, if only because he allegedly misused his position and the resources of CBS. But for a low-profile, high-powered CEO like Moonves, there isn’t much incentive for CBS to do the right thing: Advertisers aren’t pulling money from the network, and earnings have been great. Since mid-2017, more than 400 celebrities, politicians, and executives have been the subject of #MeToo scandals. 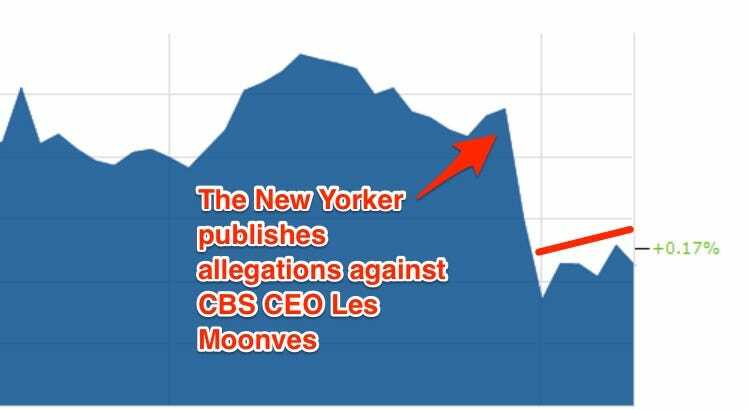 Of all those incidents, the claims against CBS CEO Les Moonves are among the worst. It’s been more than a week since he was publicly accused by multiple women of sexual harassment and intimidation. Perhaps the most disturbing part of the accusations – one that has gotten somewhat lost in the discussion – is that six women who said they shot down Moonves’ advances described some form of retaliation. Essentially, they claimed Moonves misused his position and the resources of CBS and their careers were negatively impacted. This alleged gross misuse of power while representing the company should leave CBS no choice but to fire him. At the very least he should be suspended while investigations are ongoing. “What happened to me was a sexual assault, and then I was fired for not participating,” actress Illeana Douglas told The New Yorker’s Ronan Farrow. She claimed she was dumped by her agent and replaced on the CBS show for which she was initially cast shortly after Moonves pinned her down on a couch. “‘In a millisecond, he’s got one arm over me, pinning me,’ she said. 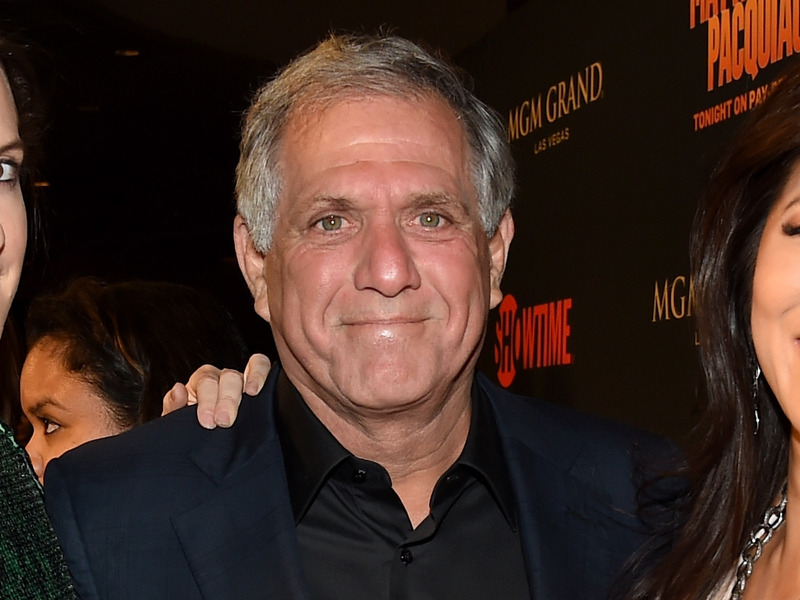 Moonves was ‘violently kissing’ her, holding her down on the couch with her arms above her head. “She recalled lying limp and unresponsive beneath him. ‘You sort of black out,’ she told me…She said it was only when Moonves, aroused, pulled up her skirt and began to thrust against her that her fear overcame her paralysis. Writer Janet Jones relayed a separate story to Farrow, in which she alleged she sat down for a meeting on Moonves’ couch and was stunned when Moonves “threw himself on top” of her moments later. Jones claimed she later received a career-threatening call from Moonves that left her more distraught than the incident itself. “The revenge behaviour, the ‘I’ll get you for not kissing me, I’ll get you for not doing what the hell I want you to do’ – it never quite leaves you,” she said. And yet the CBS CEO is still strolling into the office every day, taking home a 70 million paycheck. 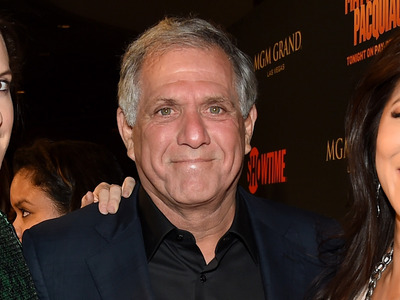 On Thursday, Moonves cheerily reported corporate earnings on a call during which CBS forbade any analyst from asking about the allegations. None of the analysts dared to cross CBS by asking anyway. Until the investigation is complete, CBS seems content to do nothing further. Markets InsiderCBS’s stock price dropped the day The New Yorker’s story on Les Moonves was published. Since then, CBS reported strong earnings and it is steadily recovering with Moonves still at the helm. While it’s mind-boggling that a CEO accused of such reprehensible acts would keep his job even temporarily, it’s not surprising. Of the 400 high-profile people who have been accused of sexual misconduct, Bloomberg found that fewer than half were fired or resigned. For almost 70 of them, there were no apparent repercussions. If you want to be generous, you could say CBS is just trying to be fair to Moonves and let the investigation run its course. Or maybe it just isn’t incentivized to care. CBS’s stock dipped the day Farrow’s story surfaced, but it is recovering with the Thursday earnings beat. Advertisers have not seemed to pull money from the network. As Business Insider’s Mike Shields reported, it’s a lot easier to move money from one controversial show to another than to remove it from an entire network. There’s no public outcry holding CBS accountable either – most people probably don’t know who Moonves is – unlike Matt Lauer or Charlie Rose, who were fired by their networks within about 24 hours of sexual-misconduct allegations surfacing. Even advocacy group Sleeping Giants, which puts pressure on advertisers to pull support from content it deems offensive, has yet to take aim at CBS. And if the pressure won’t come from outside CBS, it has to come from within. But don’t hold your breath. Money, not morality, seems to be the top priority.